Apple’s new MacBook Pro comes with a new display strip at the top of the keyboard that replaces the traditional function keys located at the top of the keyboard. The display strip is called Touch Bar and adapts to the software programme used. For example, Touch Bar displays formatting related buttons when editing a page and media buttons like volume controls when listening to music. Apple has upgraded both the 13-inch and the 15-inch models. Apple’s laptop MacBook Pro series has been around for a while. It’s now receiving some major upgrades including the speakers, the display and the keyboard that will appeal to many consumers. In addition, the new version is 0.23 kg lighter and 3.1 mm thinner than the old one. Just like the iPhone 6 and iPhone 7, MacBook Pro offers login using Touch ID. The Touch ID sensor utilises sapphire crystal and is located on the upper right corner of the keyboard. Apple Pay also relies on Touch ID to authenticate payments. Hence, Touch ID plays an increasingly important role in the Apple ecosystem. One of the highlights of the new MacBook Pro laptop is the improved brightness of the display. The new version is 67% brighter than the old one with an equally higher contrast ratio. Moreover, it’s capable of displaying 25% more colours. 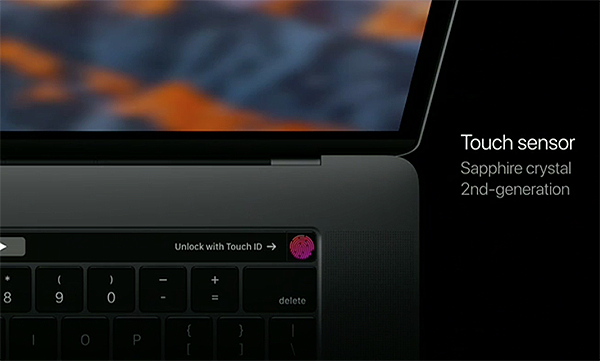 The Force Touch trackpad is twice as large as previous versions. It’s thereby capable of supporting a wide range of gestures. Please check out this video for more information about new features introduced in the newly upgraded Apple MacBook Pro. MacBook Pro is now available for online orders on Apple’s NZ site. The 13-inch model that comes with Touch Bar and Touch ID costs $2,999 for 256 GB storage and $3,299 for 512 GB of storage. The 15-inch model costs $3,999 for 256 GB storage and a whopping $4,699 for 512 GB of storage. There’s also a cheaper 13-inch entry-level version that lacks Touch Id and Touch Bar available for $2,499. Expect to wait 3-4 weeks for shipping to New Zealand.